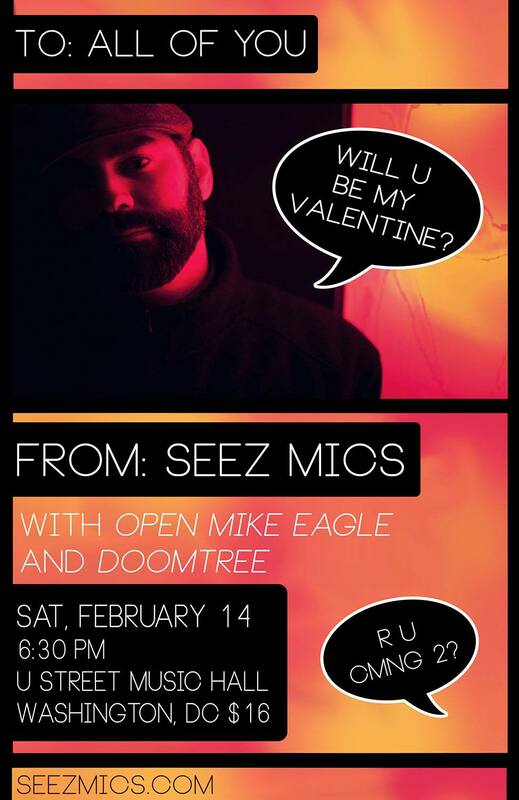 I will be the opening act for indie legends Doomtree and Open Mike Eagle on Valentine’s Day at U Street Music Hall. But seriously folks, I am beyond stoked to be performing with Doomtree since the last few shows I’ve done with them in DC have been absolute blowouts AND it’ll be the first bill I share with Open Mike Eagle who is one of my favorite MCs. SUPER IMPORTANT INFORMATION: Doors are 6:30 and I’m the opener, so get there on time if you want to be my Valentine.